Best Dive Computer– Reviews and Top Picks – All kind of adventure related products support ! A scuba dive computer can enhance both the enjoyment and the safety of your dive, so it is critical to find the Best Dive Computer for you, but this is not always easy. Dive computers measure the time and depth of your dive along with information about decompression. This makes this unit an integral part of your diving equipment. Some important features to check about while buying one are the display type, available memory, battery type and alarm features of the unit. The dive computer will let you know when to ascend and what ascent rate to use so that you don’t get decompression sickness. Choosing such an important piece of scuba diving gear can be overwhelming, but our dive computer reviews highlight the key information you need to make an informed decision about choosing the Best Dive Computer. Here are some of the basic features that any dive computer should have in it. You can expect these to be included in almost any dive computer you purchase. Duration: This tells you how long your dive has been thus far. Ascent Rate– this measures how quickly you are ascending (e.g., 45 feet per minute), and alerts you if you are ascending too quickly. Depth– Dive computers track both your current depth and your depth throughout the dive, and adjust calculations accordingly. Time Remaining: This tells you how long you have remaining before you need to begin your ascent. Emergency Decompression– This will guide you through making an emergency decompression stop if you stay down past the recommended decompression limit. It will tell you at what depth to stop and for how long, before you complete your ascent. These features vary by model. Consider which might be important for you when deciding which dive computer is the best for your needs. Audible Ascent Alarm: Some dive computers only have a visual cue that it’s time to ascend, while others have an alarm you can hear. This is key if you’re easily distracted by your surroundings or simply don’t want to have to worry about constantly checking your computer. Water temperature: Some scuba computers measure the temperature of the water around you. Direction: This prevents you from needing a separate compass. Dive log: This saves a record of your past dives, which can often be transferred to your personal computer. Adjustable algorithm: some dive computers allow you to select which algorithm will be used for the ascent calculations based on the conditions of your dive, how you’re feeling physically, and your personal preferences. Air Integrated: Air integrated dive computers tell you your cylinder pressure as well as how much air time you have remaining. Due to its reliance on many factors including depth and current strength, this can be difficult to calculate, making this a great feature for all divers, but especially beginners. Programmable Safety Stops: In addition to ascending slowly, it is recommended that divers stop at certain intervals throughout their ascent (e.g. at 15 feet for 3 minutes) to ensure proper decompression. Some dive computers allow you to program these safety stops in so that you can easily see when it’s time to observe them. A perfect combination of great styling and ease of use, this dive computer can provide you with all the data that you need as you go for your dive. This is a very simple dive computer that provides the best features along with a perfect design. The one button interface really makes things quite easy for the users and the display is perfectly readable for all users. 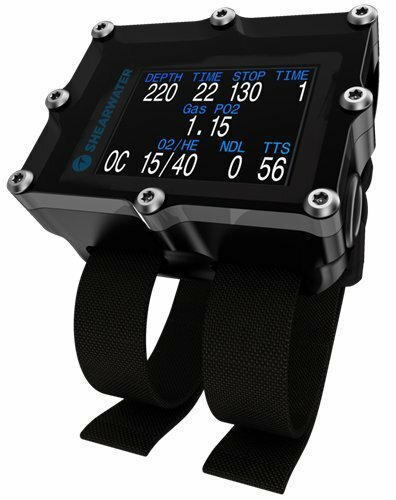 The multiple features that this watch offers are also perfect for any recreational diver and this model can definitely be considered as one of the Best Dive Computer units. Let us look at the best features of this model and discuss a few more details. Simple design: The watch has a very simple design but the overall look is quite elegant. The one button can be used to access all the menus which I found are quite simple to navigate through. So if you are looking for an easy to use model with all the required features, this is an ideal model for you. User-Friendly Display :When you are underwater, you need to read the reading on your computer screen at a glance and this model has been designed keeping the screen and digit size and the screen contrast settings aligned for easy readability. The important readings are also separated by lines and the display is also backlit. Good Memory and Connectivity: This dive computer can hold the data for 60 dives and it can be easily transferred to any personal computer by an USB connection. The software of the device is compatible for all versions of Windows and Mac. The memory can be reset after every dive so this model can also be ideal for stores that rent dive gears. This multiple reasons make it one of the Best Dive Computer models in the market. Multiple Useful Features: The unit has both visual and audible alarms to help you notice them and the screen also has a battery life indicator. 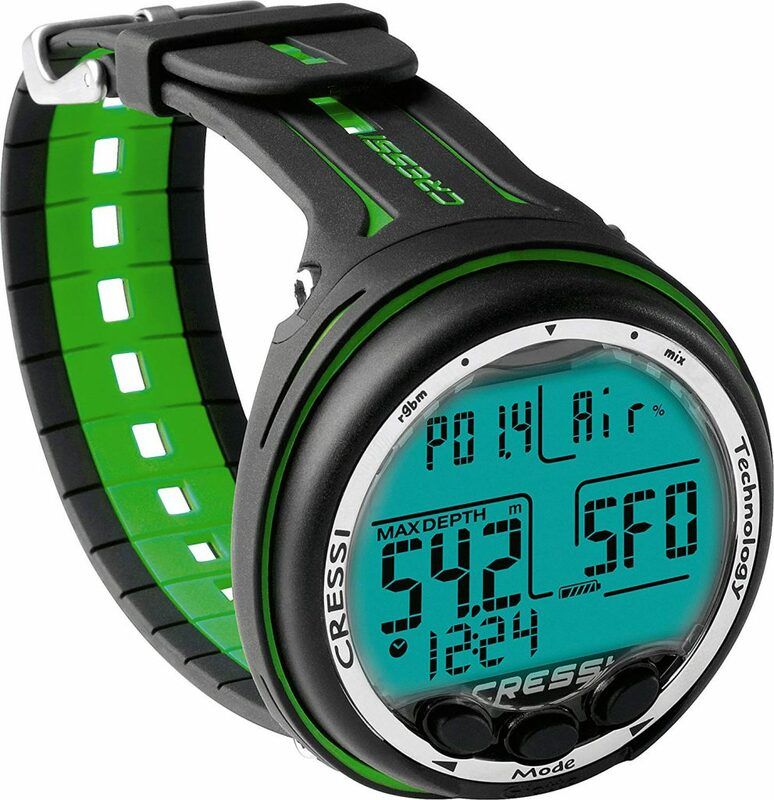 You can also track your ascent rate and program it in multiple inbuilt modes. As an added advantage it also has a power saving mode to help you optimize the battery life. Operating Modes: Air, Nitrox or Gauge. Can be reset after each dive. Has no safety stop timer. A stronger back light needed. This model is a very good choice for those who are starting their diving careers and also for recreational divers. The unit is also available in multiple colours so in case you want to appear fashionable you can also match colours with your dive suit. There is no doubt that this capable unit is one of the Best Dive Computer units and if you are looking for your first dive computer, this can be a good choice. This perfectly designed model with the right blend of technology and a rugged built can be a very reliable computer for your underwater adventures. This is a dive computer with some of the best features including four dive modes combining free diving with scuba diving in a single day. The overall performance is top notch and to the relief of many users, the battery is self replaceable. The price range at which this model is available is also very modest and hence it has found a place in the Best Dive Computer list. I will share a few more details about this model so that you can realise how good it is. If you go through the menus of the watch, you will realize that they are very simple to use even for first-time users. The unit has two buttons for operation control and they are good enough for operating it. I found the interface very intuitive and very flexible to adapt. The computer has four dive modes which are Air, Nitrox, Free, and Gauge, making it a very versatile unit. This unit boasts of one of the best algorithms and if you want to free dive and scuba dive on the same day, this unit can capably handle that. Moreover, it also has a “deep stop” feature to ensure that you can extend your bottom time. With this model in your hand, you do not need to send it to the manufacturer to replace the batteries. The simple process makes sure that you can do it on your own and when you change the batteries, the data inside the computer remains intact. With this feature, it can easily be considered as one of the Best Dive Computer units. To ensure the safety of your dive, this model has got multiple alarm facilities and also two unique ones. These two are the dive time remaining alarmed and the nitrogen loading alarm. With these additional alarms, you can be more comfortable about your dive parameters. Operating Modes: Air, Nitrox, Free or Gauge. I definitely consider this model a good entrant into the Best Dive Computer list because of its features are ease of use. There are costlier options available than this model but for a recreational diver, this model with some great features and available at this price range makes very good sense. So the i300 dive computer is definitely a good choice when you are buying a dive computer. An elegantly crafted design blended with the best features and perfect reliability defines this dive computer from Mares. This dive computer is without doubt one of the smartest in this category and price range and it can also act perfectly as a wristwatch when you need one. For doing multiple dives in a day this model has the right dive plan features along with multiple modes to support various aspects of diving. There are also nicely placed features which make things easier for you when you are underwater and so after checking all its best features I have included this in the Best Dive Computer list. If you are prone to damage your dive computer’s display, then you can rest easy as this model from Mares come with a mineral glass display which gives superiors scratch resistance. The display is also easily readable from all angles and the all the information is placed perfectly so that one glance is enough for you to read it. With this model, you can easily use multiple gas types to shorten your decompression times. This computer is capable of taking into account multiple oxygens enriched gases apart from your main cylinder. Now that is definitely some advantage when you are out for your dive. This unit is very easy to connect to your PC and keep a proper record of your dive logs. The unit can also be upgraded and the software updates from Mares can be easily downloaded into the computer. This makes it a very capable model to features in the Best Dive Computer list. The multiple useful features make this computer a very effective piece of equipment. The unit offers very good battery life with user replaceable batteries. There is also a decompression dive planner with a logbook capable of storing 20 hours of data. So, you can easily understand that this is a very good unit from an overall perspective. Not suitable for cold dives. Some users reported the alarm not being loud enough. The Mares smart wrist a great Dive computer that will fulfill all your underwater requirements and then serve you as a perfect wristwatch above water too. The two-button operation helps you glide smoothly through the menu along with a perfect display. The feedback from most users about this model is very positive and it is indeed one of the best in this set of Best Dive Computer reviews. This dive computer gives you fast data which is easily readable and a superb performance, making it a great companion while scuba diving. The pro plus 3.0 is a dive computer that is built for professional as well as recreational divers. It has one of the biggest displays in this class of dive computers and a very good user interface. The multiple features are perfect to help you out in a wide variety of diving conditions making it a very good purchase as one of the Best Dive Computer models in the market. So let us take a detailed look at its features. The display is really great in this model and it is very easy to read due to the screen outlay and the supersized digits. This is one model that you will have no problem reading while you are moving underwater. The backlight is also very powerful and darkness will be no hindrance for you in reading the screen. With the multiple sets of data that this computer can deliver, you may need to view different sets of information at different points of time. So with the simple push of a button, you can change the display as per your need. Now, the intuitive interface is really a pleasure to use and I am sure you will find it very useful. In case you like you alarms loud and audible so that you do not miss them under the surface. This computer guarantees that the alarm will catch your attention. The multiple alarms can also be customized to suit your preferences and there is also a flashing LED light for added advantage. I think that this feature is a must in all the Best Dive Computer models and this unit is no exception. Some drivers may forget to manually activate their computers before entering the water but this model gets auto activated once it comes in contact with water. So this model offers a full proof unit for your diving activities. Oceanic has always been a dependable name for life support equipment and this computer is no exception. With the classic build and very good reliability, this is a good model for all sorts of diving activities and Oceanic also offers a 30-day satisfaction guarantee. The unit also has a very good algorithm and you can even adjust that as per your needs making this a very flexible computer and hence it has found its place as one of the Best Dive Computer models. This dive computer is a great blend of sophistication and great design and provides all the information in a clear and simple format in any situation. The Cressi Giotto is a very sophisticated piece of equipment which can take into account multiple parameters and give you accurate results. The user interface has been kept quire simple and the useful features can easily be read out from the display. The unit also provides a system to enable good interaction between the diver and the computer resulting in the perfect understanding of the requirements at any moment. This is definitely a great model and deserves to be among the Best Dive Computer units in the market. The display quality makes this dive computer very easy to read and decipher making the safety offered by the device more authentic. The outer structure of the watch is also colorfully designed providing it an overall attractive appearance. If you need to wear it out, the design is compact enough not to attract any extra attention. The algorithm of this computer was basically developed by Cressi and this enables any user to calculate the right decompression stoppages with multiple gas mixtures. Now, this feature is not available in most dive computers and makes things very convenient for a diver using this model. This model provides you with more safety from the effects of nitrogen absorption in the body. The computer continuously tracks the rate of nitrogen release and absorption, taking into account the various gas mixtures being used by the diver. This great feature is one reason that this model can be counted as a Best Dive Computer. Logbook: 70 hours/ 60 dives.. This dive computer is simply a great model with the best features and that too in a very reasonable price range. The unit is very well suited both for beginners and experienced divers and provides all the critical information is a very well designed package. This is one of the best models in this list of Best Dive Computer models and is definitely recommended as a great choice. This is an ultramodern dive computer with multiple useful features and a compact design and a great interface making it a perfect choice for technical divers. This computer will definitely impress you with its features as well as its looks making this a great choice for professional drivers as well as recreational ones. The unit has various advanced features like 5 different programmable gas mixtures and it supports trimix diving too. It also supports normal regulators and rebreather units making it very versatile. A view of the detailed features will give you a proper understanding of the various useful features of this model which is indeed one of the Best Dive Computer units available. This unit has a 2.4 inch LCD display which is clear and crisp enough to make it perfectly readable for you. To add more, the backlight can adjust itself automatically as per the ambient light conditions, making it a power optimizing unit. The multiple features can be overwhelming for many of us but the user interface of the computer is very simple through a two button operation. The menus are designed very logically and you will find navigating through them very easily. The fantastic design makes the process of various data input and switching between them extremely easy. Now, getting the batteries for a dive watch easily around the corner is a definite plus point for me and this model provides just that. You can choose an AA size battery and even a rechargeable one and make this system work. This convenient feature makes this unit one of the Best Dive Computer models available. You may not believe it but the fact is that this computer provides a 1000 hour long dive log. The digital compass in this model is an extremely good unit with tilt compensation and easy calibration. For connectivity, this computer supports Bluetooth which makes it easy to connect with any device as required. Dimension:3 inch x 2.9 inch x 2.15 inch. 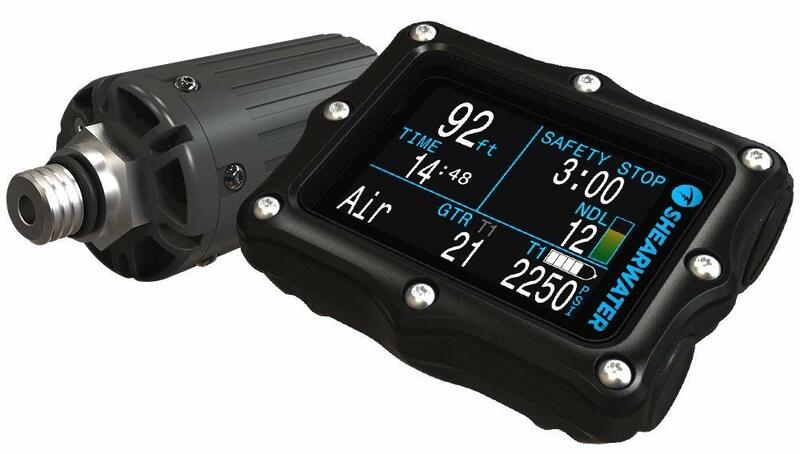 Operating Modes: Air, Nitrox Gauge or Free dive. Supports Air, Nitrox, and Trimix. Works with re breathing units. This dive computer can easily be termed as an excellent product and will definitely be included in any list for Best Dive Computer units. It contains multiple features which are state of the art and much ahead of the competition. Full marks also need to be given for great connectivity and user-friendly operation. So this is one dive computer you can definitely purchase without any hesitation and be sure of the reliability. 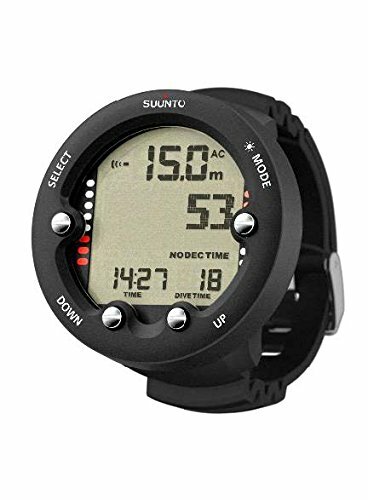 An excellent dive computer available at a very competitive price, the Suunto Zoop Novo ticks all the right boxes to be one of the best. This is a perfect dive computer to accompany you during your holiday session and it delivers all the required information that you need for a safe dive. The Suunto Zoop Novo was the least expensive scuba computer I reviewed and offers a good value. It is simple and easy to use and it can also function very well as a backup computer for experienced divers. The built quality is one of the best among the units we have reviewed and this is definitely one of the Best Dive Computer units in the market. Once you get familiar with the settings of the watch, you will enjoy the usage at it is intuitive and easy to use. The four button interface can help you move through all the menus with ease and you can get the most vital data that you need to come up on the screen with ease. 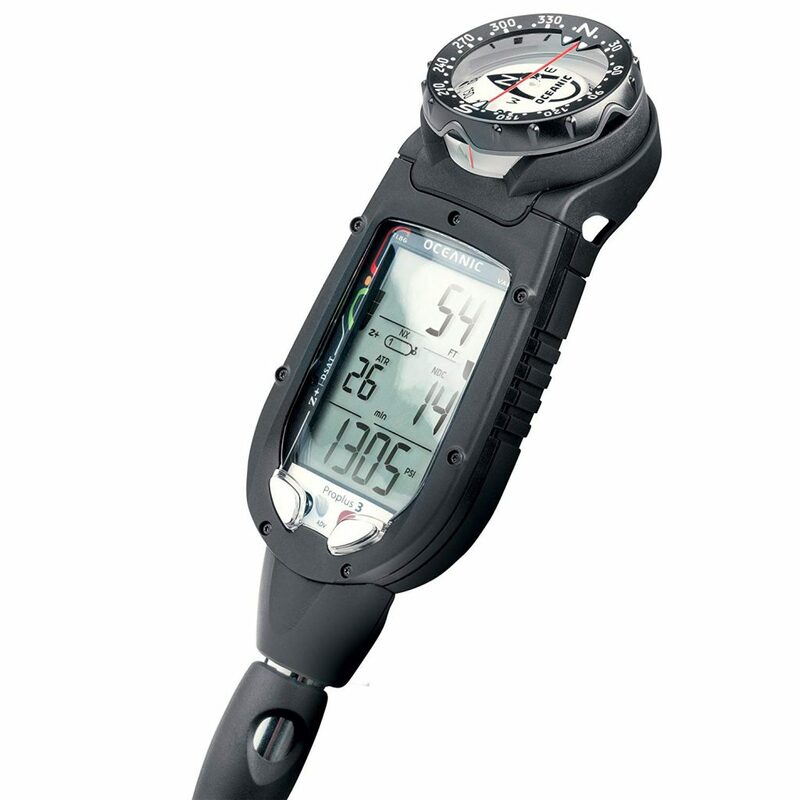 This model has multiple dive modes which make this a very versatile unit to have in hand. 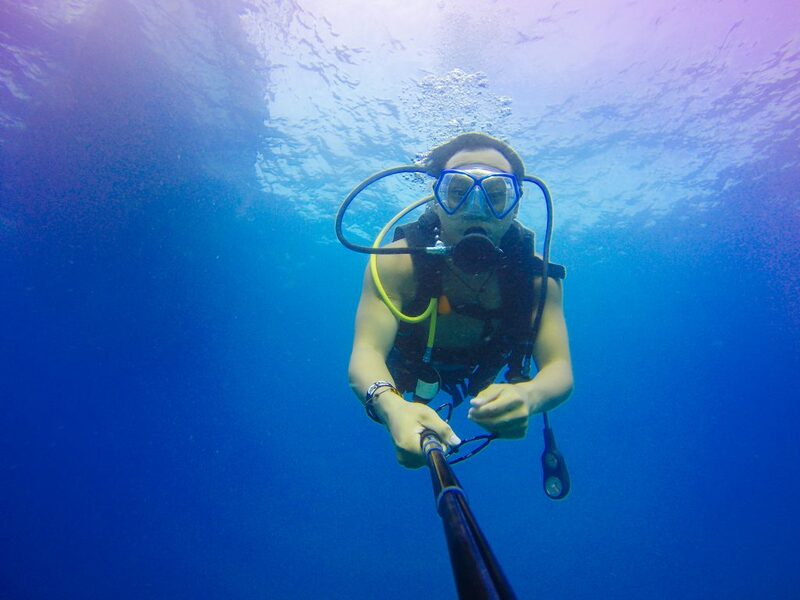 So you can always set it for free dive mode and that is a fun mode to use when you are trying out some snorkeling. The model also has “deep stop” capability to increase your bottom time and also a Nitrox mode. The Suunto RGBM algorithm for decompression stops is one of the best out there and in case you have heard reports of it being conservative, let me assure you that it has its advantages. For any newbie diver, a conservative algorithm is the safest option to start with and understand one’s capabilities. The battery in this watch can last almost a year or even more which is definitely a boon. If you are thinking about the alarms, this watch has got all the necessary ones. The dive log can also store 140 hours of memory which is quite good. With all these useful features it is an obvious member of the Best Dive Computer list. Dimension:6 inch x 2.6 inch x 1.03 inch. Operating Modes: Air, Nitrox, Gauge or Free dive. Button operation may be difficult for some. This is a very reasonably priced model which is a great option for newbie divers. The multiple useful functions come very handily and the alarms are very effective for safe dives. The screen is also of good quality and the user interface is also designed well. In short, this is one of the Best Dive Computer models for anyone planning to start their diving careers. This model is a very good choice for anyone who is new in the diving world and delivers the best features in a reasonably priced package. 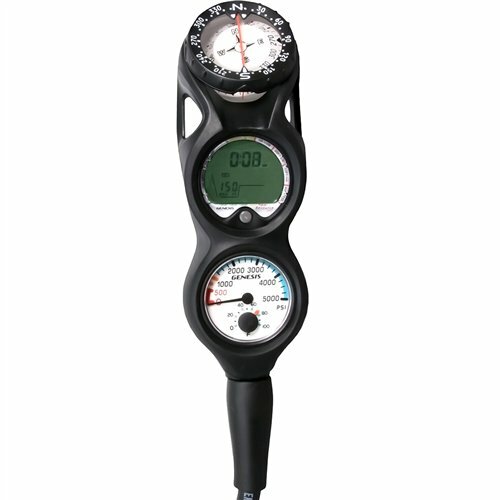 This model features a dive computer combined with a good quality pressure gauge and compass making it a very useful one. With deep stop reminders and a safety stop countdown timer, this dive computer supports you in observing safety protocols during your dive. This scuba computer displays visual bar graph indicators for nitrogen, oxygen limit, and ascent rate. These multiple features in it a very good option for beginners and one good unit to be included in our list for the Best Dive Computer. The unit is very easy to use and the menus will not confuse even the first time users. After gathering some feedback from users who have used this model for quite some time, I could realize that this model is very well built and needs no maintenance as such. In addition, it also has a lens protector attached. This computer features an intuitive display which gives you the right information at the right spot in the screen so that you can spot it easily. To make things even better, it also has graphical displays with bar graphs showing ascent rates, deep stop depths, and other essential information. As a very useful feature, this unit gets on once it comes in contact with water when you have turned the wet activation mode on. The manual activation is also designed to turn the computer off within two hours if no diving activity is recorded. So no worries in case you have forgotten to turn the computer off. This is one great feature in this model making it one of the Best Dive Computer units at present. To give you the most critical information when you are underwater, this watch has three-time displays. 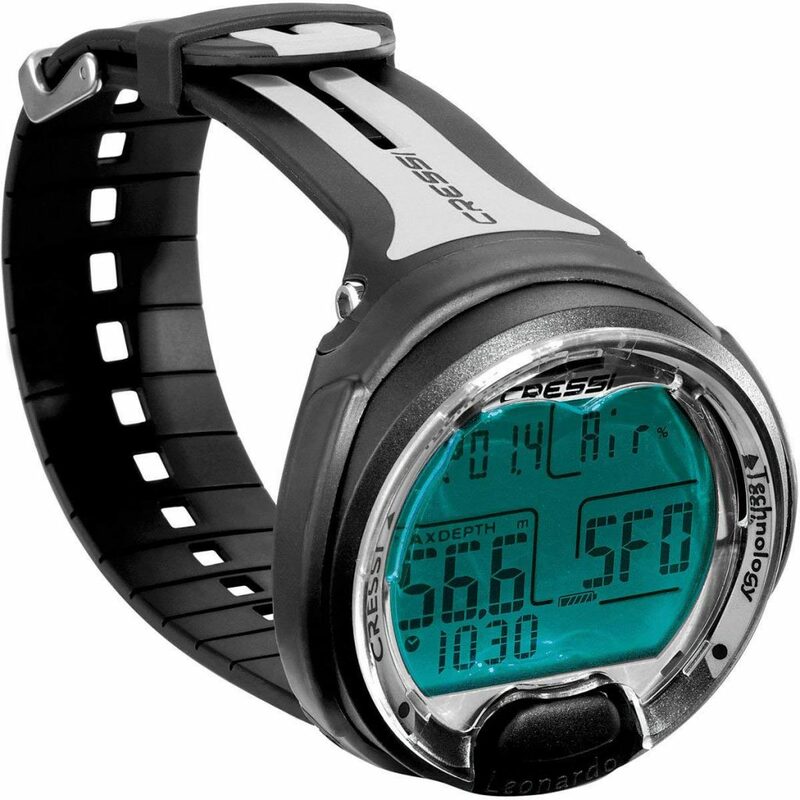 The largest one displays dive time, ascent time and others depending on the mode. The second time display shows decompression stop time or desaturation time and the third indicates the time of the day. Dimension:8 inch x 8 inch x 3.0 inch. Operating Modes: Air/ Nitrox or Gauge. Some users did not like the user interface. The user manual is confusing. This dive computer is an effective and reliable piece of equipment which is available at a very reasonable price. The unit has all the necessary features for a basic scuba diving session and if you are not into technical dives, this will serve you for a long time. This would be a good choice for beginners or casual recreational divers who prefer not to wear a wrist mounted dive computer. So for starters, this unit is definitely one of the Best Dive Computer models available. 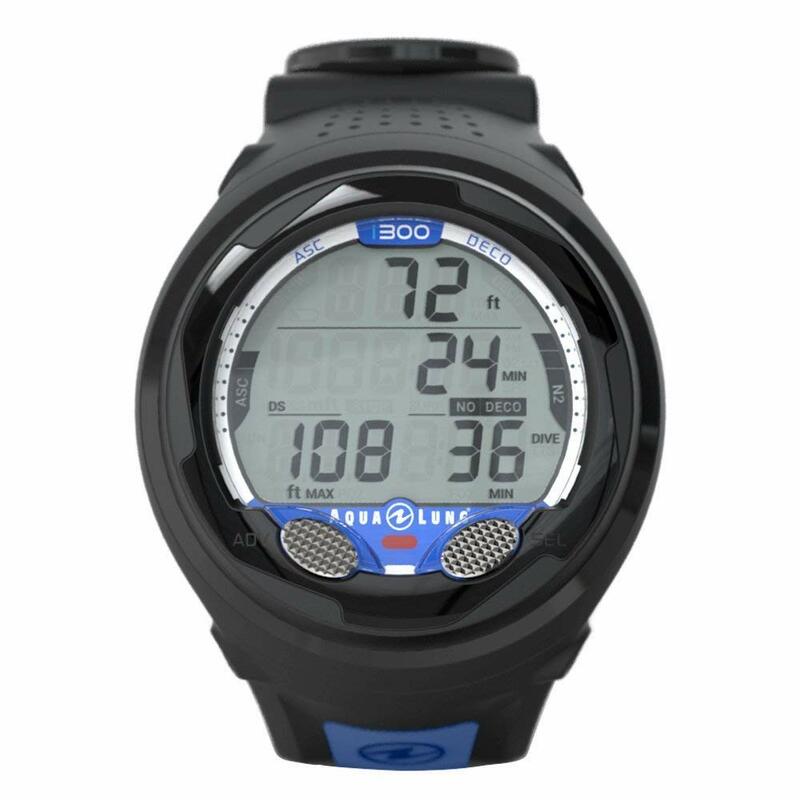 With the capability to set two different gas mixtures and switch between them, this watch style scuba dive computer offers more technical features than many options of comparable price. The Oceanic Geo 2.0 Air/Nitrox Dive computer has some great technical features and it is a very robustly build model. 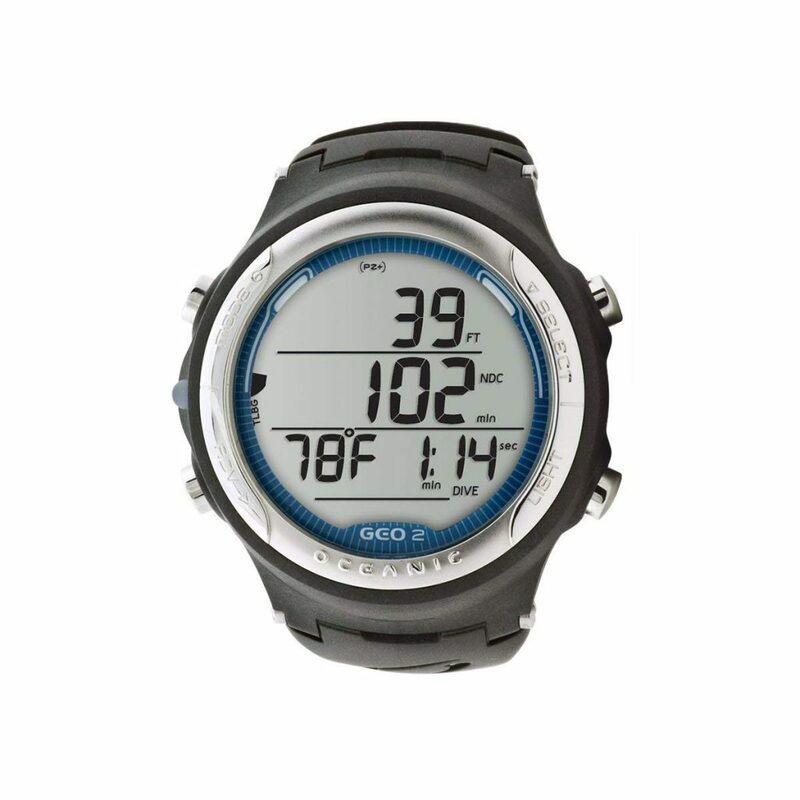 With the capability to set two different gas mixtures and switch between them, this watch style scuba dive computer offers more technical features than many options of comparable price. It also allows you to choose between two different algorithms, accounting for differences in dive conditions and personal preferences making it a very capable model in this list of Best Dive Computer units. This model features two very good quality algorithm options which are exclusive to Oceanic. It also gives you the freedom to choose from the Pelagic DSAT or Pelagic Z+ algorithms as per your dive requirements and choice. I am sure you would prefer a dive computer with a simple and clear interface. This model offers you just that with a “Step Back” feature. This helps you to navigate forward and backward through the menus very easily. The firmware in this model is auto-updatable making it very easy for you to get the latest features released from Oceanic. Once the computer is connected to the PC one can easily download and install any new feature or improvement. This is one essential feature to consider this unit among the Best Dive Computer models available. This model has some very good features and one of them is the audible alarm with the flashing light which will surely get your attention. 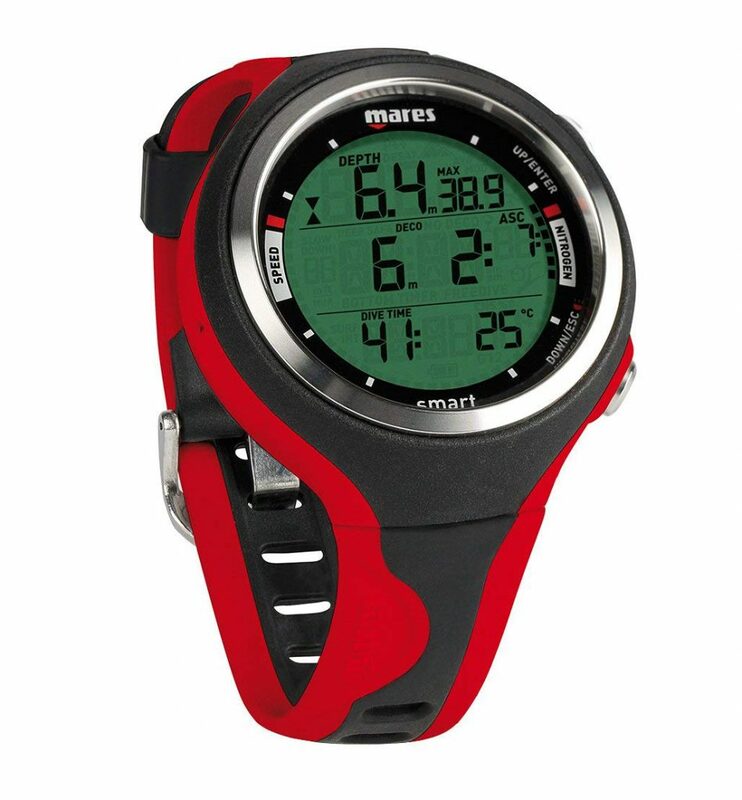 It has a deep stop feature with countdown timer and also a 24 dive log-book. Dimension:5 inch x 5.5 inch x 3.0 inch. Operating Modes: Watch, Air/ Nitrox , Gauge or Free. Activation: Water and push button. Technical functionality (can set two gas mixtures and switch). Small and wearable as a watch. Two algorithms to choose from. This is a very good dive computer that will serve any beginner with a higher budget. The features in are good and it has great functionality, though it can be a little tricky to learn to use. The features like four operating modes, good display make it a very good option and in our review of Best Dive Computer, a very good mid-range model indeed. With top features to satisfy even the best technical divers, this dive computer is a real asset for anyone who loves to scuba dive. This is one dive computer that packs a lot of punch under its simple design. The Perdix is Nitrox, Air, and Trimix capable and it has four different driving modes: recreational, technical, INT, and gauge. The interface makes navigation very simple and the batteries are easily replaceable making it a real pleasure to use. For many divers, this computer is one of the best they have ever used and it provides rock solid reliability. Let us look at the features in detail to understand the reasons behind this model being a top model in the Best Dive Computer list. This is a very advanced model which can serve the professional divers with its ability to serve both open and closed circuit dives. It has four different dive modes for this purpose and to make things even better, the divers can use 5 gas mixes in each dive type. The computer provides flexibility in multiple areas to adjust to the skills of any diver and deliver the best under any circumstance. The algorithm can be adjusted according to the conservative approach of the diver and so can be the display according to the individual preferences. Even the brightness of the display is also kept under your control. The entire unit is ruggedly built and once you take it in your hand, you will know that it is built to last. The battery is user replaceable and the entire compartment is sealed by an O-ring. The fact is, that this is one model that is made for divers and the depths of the ocean and hence one of the Best Dive Computer units. This model is loaded with various useful features and you will surely find it as is a great device to use underwater. It has a tilt compensated digital compass and dive plan features. In addition, there are two transmitters and a Bluetooth interface for connectivity. To tell the truth, the features that you get in this model return for the price is sure to keep you happy. Dimension:5 inch x 3.5 inch x 2.5 inches. Operating Modes: OC, CC and Gauge. Air, Nitrox, and Trimix capable. Not ideal as a regular watch. This is a superb dive computer combine the best features that are needed for various types of dives Best Dive Computer. In fact, there is not much to complain about this model as this is definitely one of the units available. In addition to all of the technical functionality, users found the Perdix to be easy and intuitive to use. So if you do not mind the budget and are a serious diver, you can choose this unit with your eyes closed. I am placing a short table of all the items reviewed above so that you can choose more easily.